But how do-it-yourself without any risks. The solution is to learn step by step, improve your abilities, beginning with the most simple operations (Sure a beginner changing cam chain by himself could face some difficult situations). You just have to be methodic. 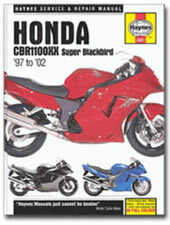 In servicing columns of motorcycling magazines,or, for example, on the operations pages of Trackandroad. 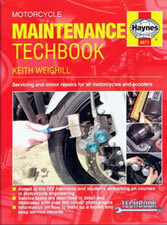 You can then improve your knowledges by reading specific literature, like for example Haynes motorcycle maintenance techbook. Here are given precious and well detailed general advices. If you really want to meet practical situation, try to find some servicing teaching sessions in your area, just like AFMCM ones made near Paris. Repair manuals, for example Hayne's ones. With it can you do most operations, even the most compicated ones. Everything is well explined in it, and it will be your best friend. It costs about 30E, you can find it quite everywhere. Second solution is to get manufacturer service manual. It's really more expensive, about 60 E. But if you search on the internet (for example here) you may have some very good surprises. Service manuals are really more detailed than repair manuals, and you may find the little tip written nowhere else.